Trail nr. 7: behind the St. Leonardo church, near the small mortuary chapel, going in the direction of the beautiful Pransarores Viles begins path nr. 7. 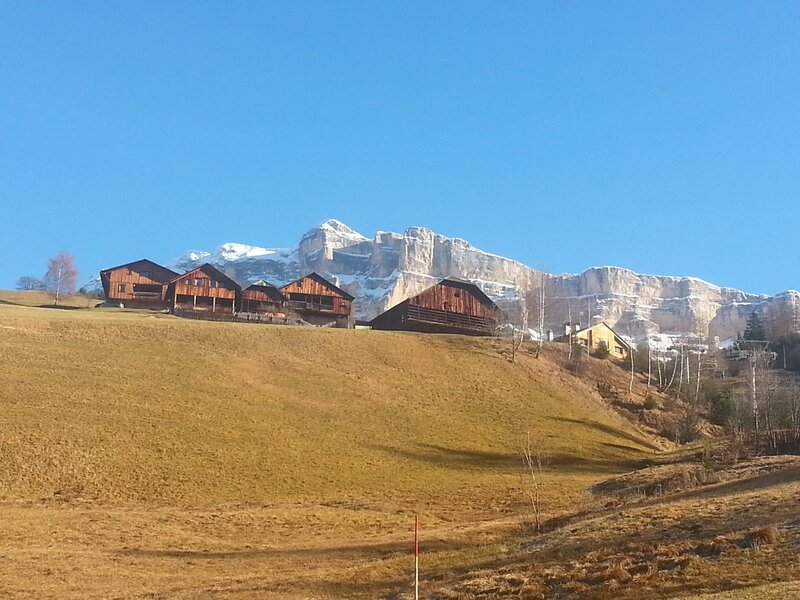 Then go up to the Rainè farmstead, after which the trail continues where during the winter there’s a ski slope. Arriving at the first chairlift mountain station (1,840), continue on the road with the Via Crucis up to the Sanctuary. Trail nr. 7A: leaving behind the church of St. Leonardo on the right, continue on the main road staying on the right up until you reach the dirt road and then continue following path 7A up to the mountain station chairlift, then continue on to path number 7 following the Via Crucis. Trail 13A: take the path for Oies nr.13A continuing on for roughly 50 m past the Tana dell’Orso up to a small crossroads. Then take path nr. 7B which goes up in the woods until it joins path nr. 13 which leads directly to our refuge. RODA DE ARMENTARA: from Badia we climb up on foot or by car to Valgiarëi, where at a certain point there’s a path for RODA DE ARMENTARA. Going up along the road that runs through the meadows, you arrive at the Ranch da Andrè. From here continue on until you intersect path nr. 15A. Then go right onto a picturesque country road until you reach the Santa Croce Refuge. Trail nr. 13: from Cianins dessot (1,416 m) begins path nr. 13 which goes along some very picturesque farmsteads such as Craciorara, Pescollderungg and Castalta, and arrives at the Pasciantadù hut. From here continue following path nr. 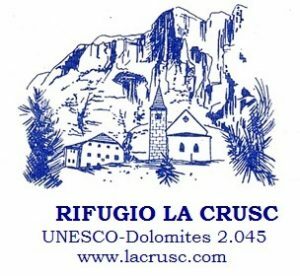 13 to the La Crusc refuge. Trail nr. 12: starting once again at Cianins dessot is another path, nr. 12, which initially is a bit steeper. But once you reach the top, intersecting path nr. 15, it becomes quite enjoyable. At the intersection, continue on the right following path nr. 15 flanking the Santa Croce range until you arrive at destination. Trail nr. 15: from the town of S. Cassiano begins path nr. 15 which leads up to Rudiferia (1,670 m). From here, staying on path nr.15 continue on to the Santa Croce refuge. Trail nr. 15A: from Pederoa (1,162 m) take path 15A for the Roda di Armentara which leads to the refuge. It’s one of the most picturesque trails, especially at the beginning of summer when the meadows are blossoming. Trail nr. 15: from La Valle, take path nr. 6 for a short distance up to an intersection and then take a left where path nr. 15 begins. It passes through the Armentara fields and a larches and pines forest, and leads to our shelter. Trail nr. 15B: from la Valle take path nr.6, then continue on to path nr. 15. At the intersection take path 13A on the left for a while and at the following intersection take path nr. 15B on the right.